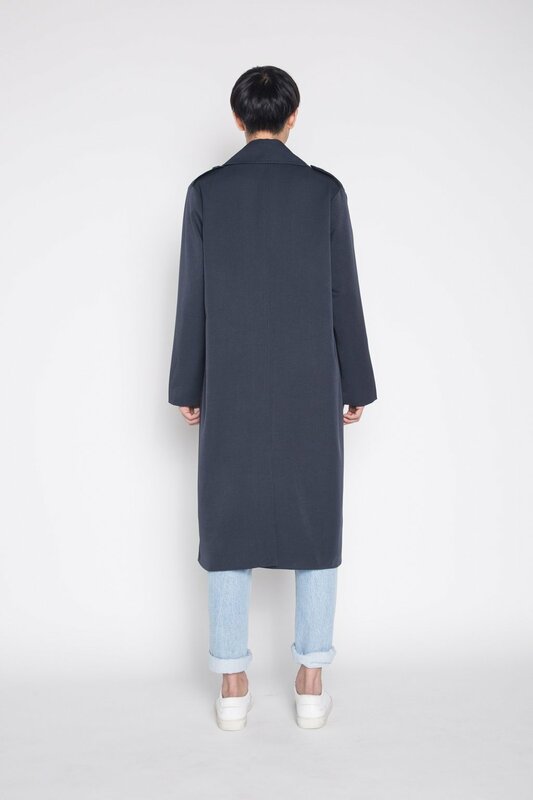 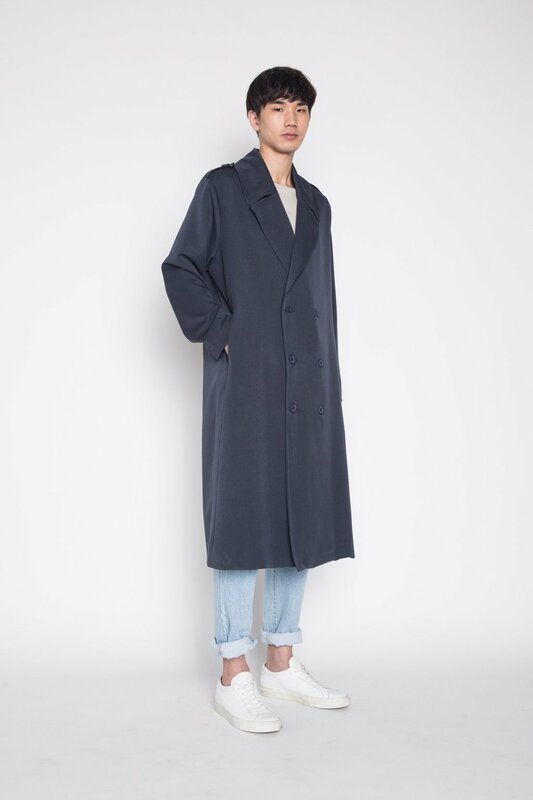 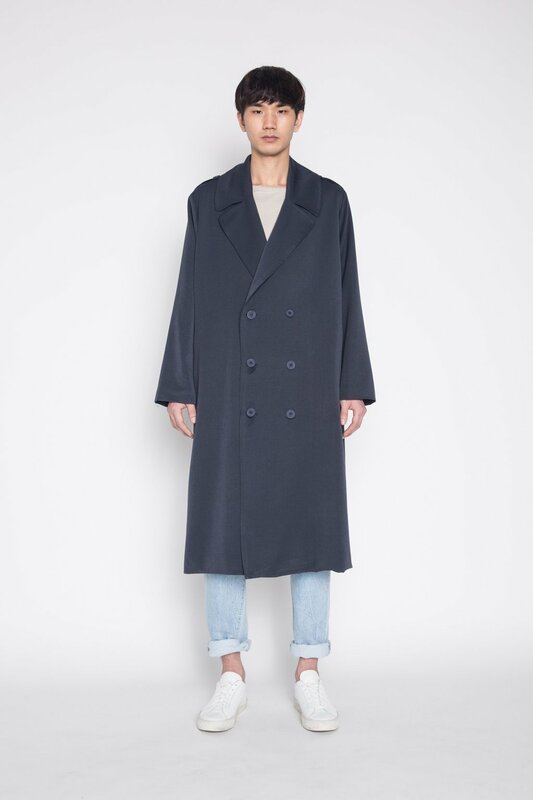 This long spring coat is designed with a light lining and is an essential piece to transition into the new season. 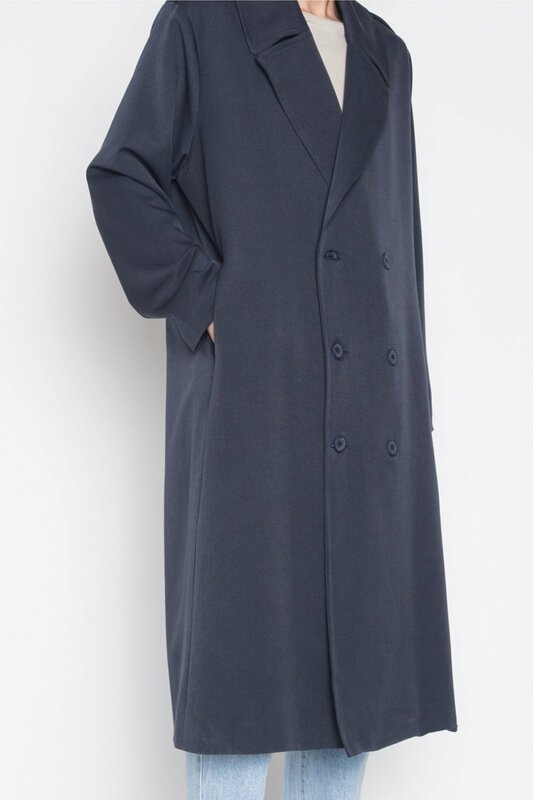 Featuring a classic lapel collar, double breasted front, and side pockets, this piece is easy to style with anything from shirts to sweaters. 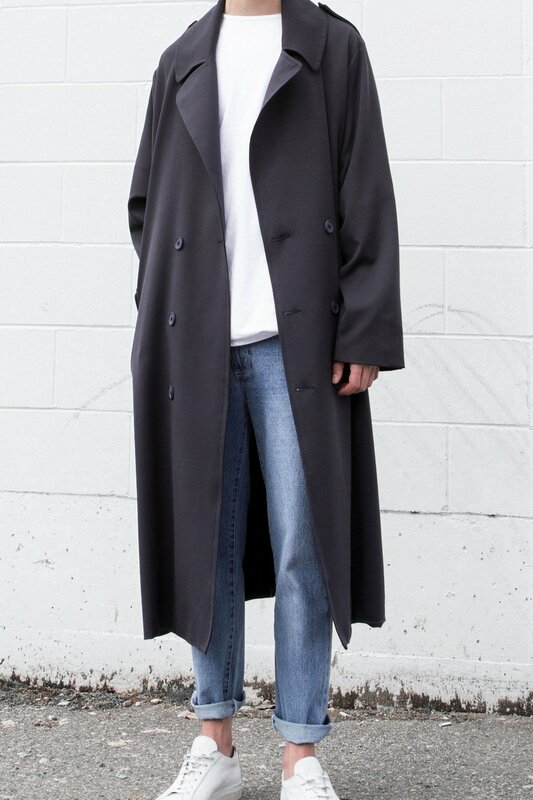 Create a versatile look by pairing with your favourite sneakers.